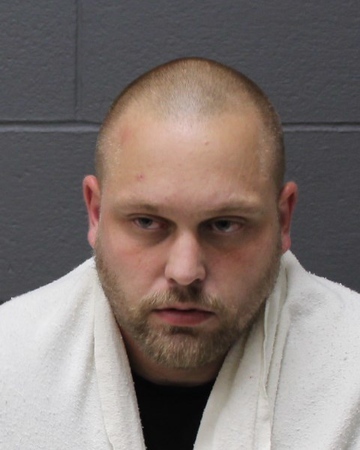 SOUTHINGTON - A local man on parole for an attempted kidnapping conviction was arrested Monday after police found him in possession of a stolen motorcycle and a number of illegal drugs, including mushrooms and hash oil. Derick Markavich, 31, of 115 Norton St., was the subject of a home compliance check after his parole officer received anonymous information suggesting there was a “large amount of marijuana and a firearm in the residence,” according to the police report. Although some pellets for an air-powered pellet gun were found, a gun was not discovered during a search of the home. During the search, at about 8:35 p.m. Monday, police and parole officers found a large cardboard box that contained “numerous bags of a green leafy substance” that turned out to be 2.87 pounds of marijuana, the report said. Authorities also found 1.23 pounds of mushrooms - a hallucinogenic drug - CBD oil - a compound of cannabis - hash oil - a waxy, amber colored substance that is created by extracting THC from marijuana - a digital scale, hypodermic needles and$2,310. Police said Markavich was also in possession of a motorcycle that had been reported stolen. He has been charged with second-degree larceny, possession of narcotics with intent to sell, possession of a controlled substance, possession of a controlled substance near a school and illegal distributing/manufacturing of drugs. Markavich was held in custody Monday night and arraigned Tuesday, in Bristol Superior Court. During the hearing, officials said he was convicted of attempted second-degree kidnapping in 2012 and sentenced to 42 months in prison, followed by four years of special parole. He also has “a number of” convictions for failure to appear in court, officials said. Markavich’s bail was set at $50,000, and his case was continued to Nov. 15. Posted in New Britain Herald, Southington Herald on Tuesday, 16 October 2018 16:23. Updated: Tuesday, 16 October 2018 16:25.